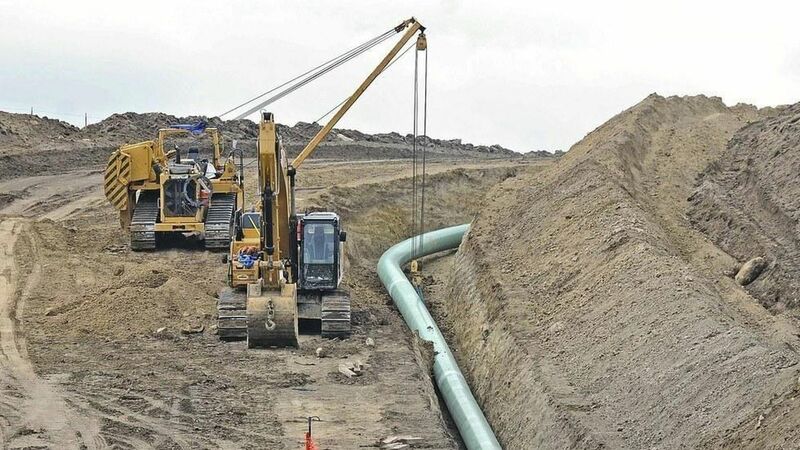 Yesterday's Keystone XL approval by Nebraska state regulators hardly means the project is a sure thing, but it could make it more likely that TransCanada will build it. Why it matters: Wood Mackenzie's Zachary Rogers said the outcome "greatly diminishes" the political risk facing the project, which is also getting a lift from recent market shifts that strengthen the need for heavy crude on the Gulf Coast. He said in a note that "declining heavy oil production in Mexico and ongoing Venezuelan risk has recently tightened the heavy-crude market in the Gulf Coast." "Given uncertainty as to what this implies in terms of project cost and timeline, as well as the high probability of additional legal delays, we think that, while the ruling is clearly a necessary step in the right direction, there will still be a lack of certainty surrounding the project for some time." They predict the project will come online in late 2021. TransCanada's take: The company's response stopped short of a firm commitment to actually building the pipeline that has been a flashpoint for energy and climate policy battles for nearly a decade. "As a result of today's decision, we will conduct a careful review of the Public Service Commission's ruling while assessing how the decision would impact the cost and schedule of the project," CEO Russ Girling said in a statement. Go deeper: The Globe and Mail has an in-depth look at the decision and the hurdles that remain for the project that would carry up to 830,000 barrels per day of crude oil from Alberta's oil sands into the U.S.